You can change the future for those who suffer from amyotrophic lateral sclerosis. As a nurse and educator, Ohio State alumna Jan Daily was a passionate advocate for ALS research. She twice traveled to Washington to raise awareness among national leaders and gathered a cadre of family and friends — Jan’s Fans — to participate in the local ALS walk. A constant source of inspiration to those who loved her, Jan waged a courageous four-year battle before the disease took her life in early 2019. Mystery surrounds amyotrophic lateral sclerosis (ALS), commonly called Lou Gehrig’s disease. There is no cure nor effective treatment to halt ALS. Its cause is unknown. The neurodegenerative disease usually begins with trouble walking, writing or speaking. As it advances, nerve cells responsible for controlling voluntary muscle movement die. Muscles stop moving, eventually leading to death, most often due to respiratory failure. Stephen Kolb, MD, PhD, (left) and Adam Quick, MD, (not pictured) have built a multidisciplinary clinic that is working to understand why and how motor neurons lose function and die, find better ways to study ALS and develop new treatments. The clinic’s work provides a pipeline to basic science laboratories at Ohio State and throughout the country for studying cells from individual patients. Our scientists are learning how to repair dysfunctional astrocytes — key players in the central nervous system — and are providing genetic counseling and testing for patients. “Seed money” for projects, which will lead to funding for bigger national and international studies to end ALS. Genetic therapies for both familial and sporadic forms of ALS. Bringing more talented researchers and clinicians into the fight through fellowships and career development grants. From the College of Medicine to the James Cancer Center and the Wexner Medical Center to the College of Nursing, Ohio State leads the way in medical research, education, training and treatment. 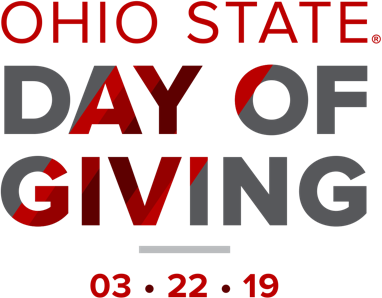 Through gifts in health and medicine, you can support students, patients, researchers, technology and facilities to keep our university leading the way.